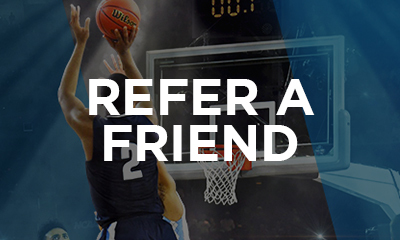 NCAA College Basketball: Betting, Odds, Picks, Rankings, Scores, Point Spreads and More! This has already been one of the most interesting seasons in college basketball history – and it’s only getting started. The Duke Blue Devils threatened to run away with the title, then Zion Williamson blew a tire. The Tennessee Volunteers were No. 1 in the polls for the first time in over a decade, then fell to No. 7 after losing back-to-back road games. Now the Gonzaga Bulldogs are the top team in the nation – or is it the Virginia Cavaliers? It depends on whether you trust the college basketball rankings or the advanced stats. Either way, it looks like we have a dogfight on our hands. 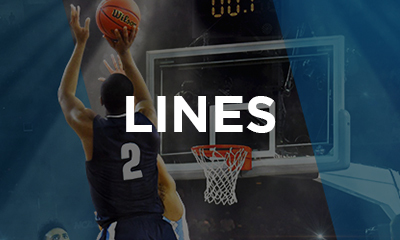 March Madness is just around the corner, which means it’s time for NCAA college basketball betting to hit full throttle. 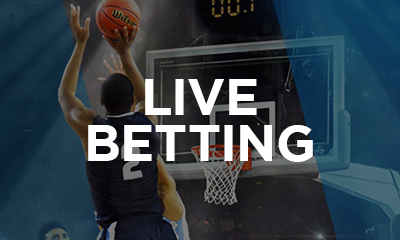 We’ll show you how to get your hoops on at Bodog Sportsbook, and we’ll look at the top five favourites to cut down the nets at this year’s National Championship game in Minneapolis on April 8. Once the Selection Committee decides which 68 teams will be playing in this year’s Tournament, NCAA college basketball odds will be released for the “First Four” play-in games in Dayton, Ohio, tipping off on March 19, as well as the 32 First Round games spread across the four regions (East, West, South and Midwest) on the March Madness bracket. As each round is completed, fresh college basketball point spreads, moneylines and totals will be posted for the next round, along with any relevant NCAAB props for the games in question. 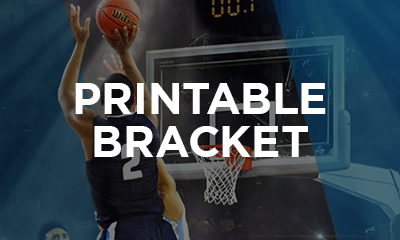 In the meantime, you can make your college basketball picks right now for who will win March Madness. You’ll find odds for dozens of possible winners on the NCAAB futures market at Bodog; all the top favourites discussed below are there, as well as “Cinderella” teams like the Butler Bulldogs (+15000) and the Loyola Ramblers (+30000), and all the title hopefuls in between. In a season that’s already been full of surprises, would it really shock anyone if a Cinderella team won this year’s Tournament? The chaos began last year when, for the first time ever, a No. 16 seed (the UMBC Retrievers) beat a No. 1 seed (Virginia) in the First Round. Then No. 11 Loyola made it all the way to the Final Four. There are some quality “mid-major” teams out there waiting in the wings for March Madness, teams like the Houston Cougars of the AAC, and the Buffalo Bulls of the MAC. At least one of them is likely to make a deep run this spring. Losing Williamson to a strained right knee definitely hurt Duke (24-4 SU, 16-12 ATS). They saw their title odds drop from +175 after Williamson, the projected No. 1 pick in the 2019 NBA Draft, had his left shoe blow apart early in the February 20 game against North Carolina. The college basketball scores haven’t been kind to the Devils since that incident; they lost to the Tar Heels, then lost again to the Virginia Tech Hokies. There is no timetable for Williamson’s return, although with a Grade 1 strain, he should be ready in time for March Madness, if not the ACC Tournament starting March 12 in Charlotte. The Bulldogs (28-2 SU, 19-11 ATS) have taken advantage of Duke’s downfall, seizing the No. 1 spot in the polls after sweeping their first 14 games in the West Coast Conference – this, after beating the Blue Devils at the Maui Invitational back in November. Gonzaga used to be considered a Cinderella team at the Tournament, but they’ve reached the Sweet Sixteen round nine times since head coach Mark Few took over the program 20 years ago, almost winning the title in 2017. As always with the Bulldogs, strength of schedule is the question coming out of the WCC. Have they been battle-tested enough to win it all? Winning titles is nothing new for John Calipari. He took the Wildcats (24-4 SU, 16-12 ATS) all the way in 2012, and he’s been to the Final Four twice since then. But Calipari’s strategy of leaning on freshman talent doesn’t always bear fruit. This year’s team fell flat in their debut, losing by 34 points to Duke at the Champions Classic. Fortunately, youngsters PJ Washington, Tyler Herro and Ashton Hagans have stepped up their game as the season has worn on, and Kentucky look like the best team in the SEC heading into Champ Week. There’s no question the Cavaliers (25-2 SU, 20-7 ATS) will be motivated this year after getting bounced by No. 16 UMBC in the First Round. The advanced stats love what Virginia have done thus far, even if they’ve lost twice to Duke already. The Cavs are a top five team at both ends of the floor, but after playing a very soft non-conference schedule, they might find themselves making another early exit from the Tournament. These two teams are heading in opposite directions with Champ Week on the horizon. The Tar Heels (23-5 SU, 17-9-2 ATS) have just one loss to Virginia on their ACC resume, while the Volunteers (25-3 SU, 13-13-1 ATS) have covered just one of their last seven games in the softer SEC. If either of these teams is going to win it all, it will probably be North Carolina – they’re the ones who beat Gonzaga two years ago. Can you handle all this Madness? Check out the latest NCAA basketball odds at Bodog, and get ready for the biggest single tournament on the sports betting calendar.